Tesla Model 3 Deliveries In February — What Do You Think? 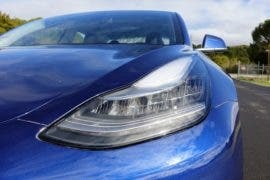 I was about to close out the month and get off the computer (at 2:20 am, admittedly), but then something obvious hit me — why not crowdsource the coming Tesla Model 3 delivery estimate for the month of February? I generally base Tesla delivery estimates for my monthly US electric car sales reports on many factors, but I’ve somehow not previously thought to tap the vast CleanTechnica reader knowledge & speculation base for support. “We continue to target weekly Model 3 production rates of 2,500 by the end of Q1 and 5,000 by the end of Q2. It is important to note that while these are the levels we are focused on hitting and we have plans in place to achieve them, our prior experience on the Model 3 ramp has demonstrated the difficulty of accurately forecasting specific production rates at specific points in time. Of course, another point to remember — which Tesla itself references in the first paragraph above — is that Tesla’s forecasts in recent quarters for Model 3 deliveries have been overly optimistic. Various unforeseen bottlenecks have prevented Tesla from hitting those recent production and delivery targets. 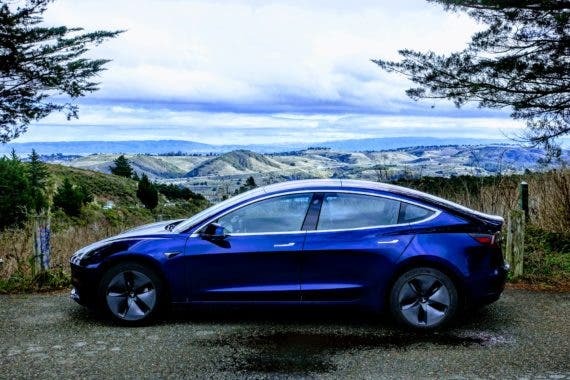 Another piece of information to take into account is that 1,772 Model 3 electric cars were delivered in 2017, with 1,050 of those going out in December. We also have various pieces of news regarding individual configurations and deliveries, and that surprise email a few weeks ago that went out to Model 3 reservation holders and indicated that $35,000, shorter range Model 3 deliveries were being pushed back — considerably in some cases, like our own Kyle Field’s. Extra useful after taking all of that into account is a crowdsourced Google Sheet regarding Model 3 orders. If you click on the “Invites” tab, you can spot what seem to be invite surges, and if you click on the “Delivery” tab, well, you can see the same for deliveries. Furthermore, people behind the sheet have actually created a delivery estimates chart themselves. The thing to keep in mind here is that we have no real idea how representative the people who know about and contribute to the chart are of overall orders/deliveries. Furthermore, we don’t know how that level of representation has changed from December till now. Taking all of those hints into account — and surely others as well — what’s your guess on February Tesla Model 3 deliveries? As usual, a monthly US electric car sales report will be published here on CleanTechnica and on the EV Obsession “Electric Car Sales” page in a few days. Images by Kyle Field. Be sure to read his Tesla Model 3 review if you haven’t yet!